Prioritizing systems built for the wrong type of manufacturing is one of the biggest mistakes we see manufacturing businesses making when selecting new ERP software. This statement might not make much sense initially—but let me explain. Manufacturers can either deal in discrete or process manufacturing, which can often operate in totally different ways, and it it is critically important that you understand how your business truly operates before you begin your ERP selection process. In this article, we will cover the benefits of using ERP software for process manufacturing specifically, and how it is vital that you select a system with the unique functionalities your business will require, specifically the recipe and batch-focused elements that process manufacturing entails. Process manufacturing differs significantly from other common forms of (discrete) manufacturing in which a single product is produced from a set amount of materials and in calculable quantities, every time. Instead, process manufacturing relies on creating value through the mixing and reaction of ingredients in line with a recipe and a continuous process—most frequently seen within the pharmaceutical, chemical and food and beverage industries. While ERP software is capable of streamlining and supporting both systems of manufacturing, the difference in system may mean that you need to be looking at different systems with different capabilities and specialities (i.e. ingredient tracking) when selecting a system to implement. Read on for more information on process manufacturing and all of the factors that a well-selected ERP can help you streamline! For more information on how ERP can solve unique problems to the food industry, download our white paper HERE! One of the most prominent specificities of a process-based manufacturer is the production of items in recipes and batches, rather than discrete objects that are made with a distinct bills of materials. Instead, you are working with changeable ingredients, in varying quantities, and will usually end up with a bulk product that will then need to be packaged into a discrete item. The most accommodating ERP systems can thus provide a more recipe-based bill of materials for your products, and one-up, one-back traceability for ingredients and stages within the mixing process. Scanning procedures and complex data tracking ability will keep everything within your system fully up to stringent safety standards—especially critical for process manufacturers who face frequent audits and recall threats (like the food and beverage or pharmaceutical industry). Furthermore, the formulation process requires specific ingredients and quantities/weights of each product, which will depend entirely on the amount of finished product you are looking to produce. You can use ERP software to input these ratios, and then keep track of them for you as you simply input demand and new orders as they come in—your system should be able to alter your ratios and volumes as necessary, so that you can be assured of the same quality that your products have always been known for no matter how much product you are making and which order it is for. As we have mentioned, ERP software for process manufacturing can provide recipe-based bill of materials and one-up, one-back traceability for ingredients and stages within the mixing process—making the food safety and quality assurance portion of your business simpler than ever. In the involved and often complex world of process manufacturing, this kind of in-depth traceability could be the key to you avoiding a disastrous recall or a failure to perform an FDA in time, shutting down your operations and costing you enormous amounts of money. Because every ingredient and batch is logged in a singular system, you can create reports on safety and quality instantly, on any device with access to your system (and if you are in the cloud, that’s any device with internet access!). The value of this kind of batch traceability extends even further into inventory management, allowing you to track specific batches within your warehouse or shipping cycles, including shelf lives, expiry dates and consume by dates so that you are always shipping the product that needs to go out the most, and not losing product to the the warehouse graveyard instead. With the right ERP software, you can operate more efficiently than ever and ensure that you are only making and storing as much product as you need, but you are also keeping up with demand at the same time. If you are a process manufacturer,if you deal with multiple different clients ordering the same product (say, a generic pre-made salad that they then repackage for their own store brand), you will also often find that these clients need to tweak the recipe for certain allergens or regional preferences. 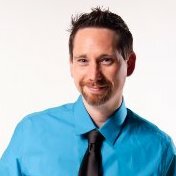 While this may have been a pain to orchestrate without sophisticated software to manage the variations in your co-products, you can leverage ERP software to log these different requirements, changes in ingredients, then track these changes and determine how they affect the final quality of the product. Imagine all of the maneuvering that this would've taken to do using just paper or Excel sheets, how much of a headache it would be to keep track of which line is producing which version of a product or checking that the right ingredient changes have been made before production begins. What’s more, your ERP can optimize your ingredient and process formulations depending on seasonal or occasional availability, changing demands and other situational factors that would be much harder to plan for manually. Finally, ERP software has the ability to accurately, and efficiently, take over much of your scheduling woes. From utilizing capacity and productivity data along with expected demand to precisely assign jobs to certain machines (mixers, packaging line, etc.) to managing the shifts of your employees, a lot of enterprises find that wielding ERP software for process manufacturing doesn’t just make their lives easier—it cuts costs across the board and will take on the rote work that periodically takes time away from more active revenue-driving activities. Your ERP Dashboard can even give you an overview of what product is each machine is working on, notify you of that machine’s productivity and any maintenance that may be necessary due to low productivity or a total breakdown. No longer do you have to patrol the shop-floor checking each of your machines and determining what be causing a breakdown; if you connect all of your processes and operations that your ERP software, the whole process will be much simpler (and more cost-effective). Process manufacturers by nature will have very different and specific requirements from discrete manufacturers. 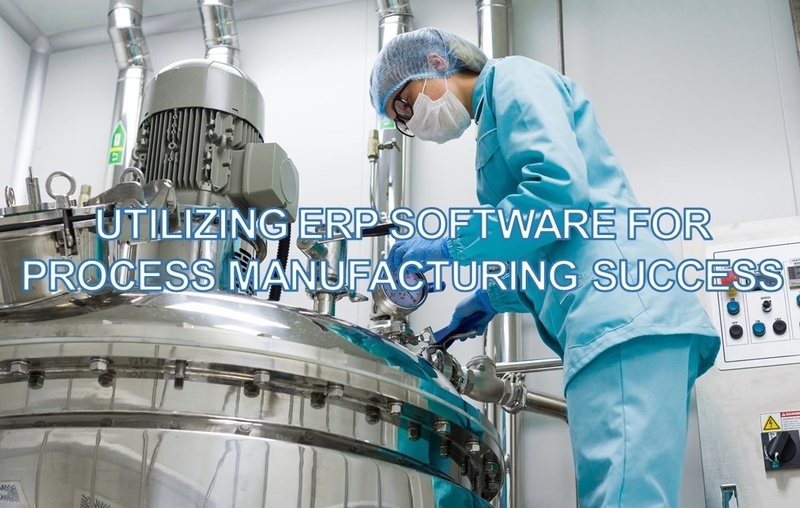 From recipe-based formulations to sophisticated batch traceability, ERP software is one of the most valuable tools a business that operates within a process manufacturing can have. As always, it is about selecting the right tool for the job, and ERP systems specifically geared towards discrete manufacturing will not operate as efficiently as software with out-of-the-box capability for process manufacturing. For help selecting ERP software for process manufacturing or a system that is optimized for your specific business operations, and will be best aligned with your company and its needs, contact an expert at Datix today.